Lycurgus R. Jerome BELL was born in 1837 in , , Tennessee. He died in 1872 in Comanche, Stevens, Oklahoma. He was buried in Ringgold, Montague, Texas. Lycurgus married Sarah Jane MC COY. Sarah Jane MC COY was born in 1838 in , , Tennessee. Sarah married Lycurgus R. Jerome BELL. Dora Virginia BELL was born in 1861 in , , Arkansas. Mary J. BELL was born in 1863 in , , Texas. Elizabeth BELL was born in 1866 in , , Texas. F iv Julia Frances BELL was born on 29 Jun 1867. She died on 16 Sep 1956. Sarah BELL was born in 1868 in , , Texas. Nancy BELL was born in Mar 1869 in , Nacogdoches, Texas. Arintha BELL was born in 1872 in , , Texas. John Franklin RADAR [Parents] was born on 26 Aug 1892 in Wideman, Izard, Arkansas. He died on 23 Aug 1962 in Hominy, Osage, Oklahoma. He was buried in Powell Cemetery, Hominy, Osage, Oklahoma. John married Laura Melvina KUYKENDALL on 11 Dec 1912 in Ringold, Montague, Texas. Laura Melvina KUYKENDALL [Parents] was born on 19 Apr 1889 in Indian Territory now Madill, Marshall, Oklahoma. She died on 19 Jun 1941 in Hominy, Osage, Oklahoma. She was buried on 21 Jun 1941 in Powell Cemetery, Hominy, Osage, Oklahoma. Laura married John Franklin RADAR on 11 Dec 1912 in Ringold, Montague, Texas. Everett Edney RADAR was born on 22 Nov 1913 in Okemah, Okfuskee, Oklahoma. Alice Gertrude RADAR was born on 7 Apr 1915 in Okemah, Okfuskee, Oklahoma. She died on 23 Jan 2002 in , Tulsa, Oklahoma. Herbert Leonard RADAR was born on 16 Aug 1917 in Tribbey, Pottawatomie, Oklahoma. He died on 28 Aug 1981 in Wetumka, Hughes, Oklahoma. Agnes Bernice RADAR was born on 15 Nov 1919 in Hominy, Osage, Oklahoma. She died on 1 Sep 2007 in Carterville, Jasper, Missouri. Johnny Leroy RADAR was born on 18 Jun 1922 in Hominy, Osage, Oklahoma. He died on 25 Sep 1997 in Hominy, Osage, Oklahoma. Regnald Carlos RADAR was born on 6 May 1930 in Hominy, Osage, Oklahoma. He died on 25 Oct 1988 in Clute, Brazoria, Texas. David L. KUYKENDALL [Parents] was born in 1864 in , , Georgia. He died after 1920 in , , Arkansas. David married Malinda. Malinda. Malinda married David L. KUYKENDALL. Cicero T. KUYKENDALL [Parents] was born on 6 Jun 1868 in , Pickens, Georgia. He died on 21 Aug 1946 in , Grayson, Texas. Cicero married Addie J..
Addie J. was born in Nov 1871 in , , Georgia. She died after 1910 in , , Texas. Addie married Cicero T. KUYKENDALL. F i Bessie M. KUYKENDALL was born about 1893. She died after 1910. M ii George Washington KUYKENDALL was born on 2 Jul 1894. He died on 9 Oct 1986. M iii Charles A. KUYKENDALL was born in Mar 1897. He died on 24 Nov 1967. James Curtis van KUYKENDALL [Parents] was born in Feb 1862. James married Rachel BROOKS. Rachel BROOKS. Rachel married James Curtis van KUYKENDALL. Artie van KUYKENDALL was born in 1898 in , Pickins, Georgia. Joseph Alfred WHISENHUNT [Parents] was born on 15 May 1870 in Muddy Fork, Howard, Arkansas. He died on 13 Mar 1912 in Roff, Pontotoc, Oklahoma. He was buried in Lightning Ridge Cemetery, Roff, Pontotoc, Oklahoma. Joseph married Frances Melinda KUYKENDALL in 1898. 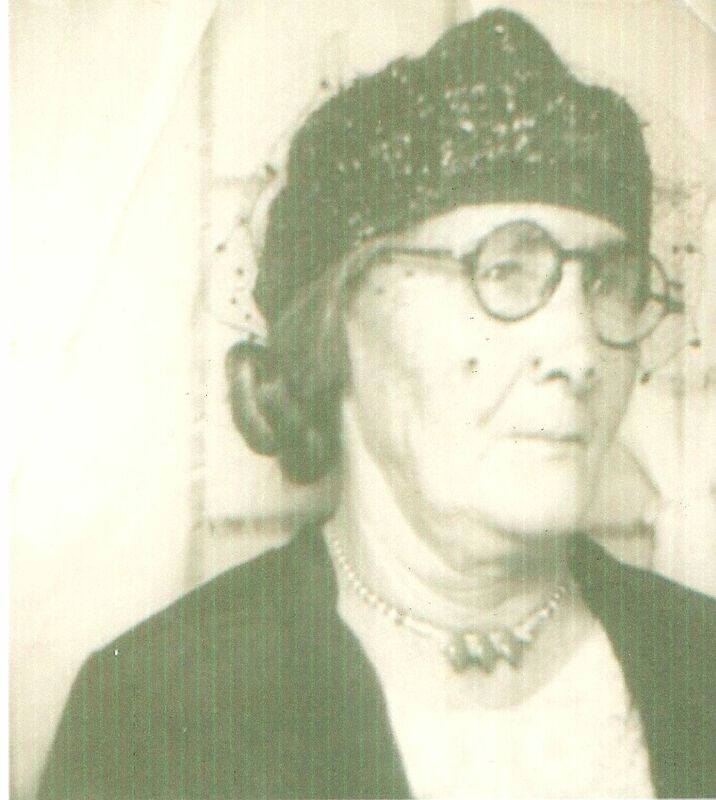 Frances Melinda KUYKENDALL [Parents] was born on 12 Feb 1877 in Vickerys Creek, Forsyth, Georgia. She died on 9 Jul 1949 in Roff, Pontotoc, Oklahoma. She was buried in Lightning Ridge Cemetery, Roff, Pontotoc, Oklahoma. Frances married Joseph Alfred WHISENHUNT in 1898. F i Mary Elizabeth WHISENHUNT was born on 6 Feb 1899. She died on 12 Apr 1975. Annie Lucille WHISENHUNT was born on 23 Jan 1900 in Vineyard, Jack, Texas. She died on 4 Jan 1981 in Ardmore, Carter, Oklahoma. F iii Lucinda Jewell "Lucy" WHISENHUNT was born on 23 Jan 1900. She died on 4 Jan 1981. M iv Jacob Bailey "Jay" WHISENHUNT was born on 27 Mar 1902. He died on 23 Apr 1989. F v Rosa Belle WHISENHUNT was born on 1 Apr 1904. She died on 9 Nov 1979. M vi William "Bill" WHISENHUNT "Sr" was born on 7 Oct 1907. He died on 7 Oct 1972. F vii Lily Beatrice WHISENHUNT was born on 28 Mar 1909. She died on 4 Jan 1981. F viii Sadie Alice WHISENHUNT was born on 17 Aug 1912. She died in Jul 1936. Solomon KUYKENDALL [Parents] was born on 15 Jul 1804 in , Hardy, West Virginia. He died on 15 Apr 1875 in Moorefield, Hardy, West Virginia. Solomon married Sarah Catherine MONGOLD on 6 Oct 1825 in , Hardy, West Virginia. Sarah Catherine MONGOLD was born in 1805 in , Hardy, West Virginia. Sarah married Solomon KUYKENDALL on 6 Oct 1825 in , Hardy, West Virginia. George KUYKENDALL was born in 1827 in , Hardy, West Virginia. M ii Nathaniel KUYKENDALL was born in 1832. He died in 1900. Clara KUYKENDALL was born in 1838 in , Hardy, West Virginia. F iv Mary KUYKENDALL was born in 1841. She died in 1915. M v Joseph Hiram KUYKENDALL was born on 22 Dec 1844. He died on 9 Dec 1931. M vi William Seymour KUYKENDALL was born on 22 Oct 1846. He died on 17 Mar 1908. Joseph Hiram KUYKENDALL [Parents] was born on 22 Dec 1844 in Moorefield, Hardy, West Virginia. He died on 9 Dec 1931 in Mansfield, Piatt, Illinois. Joseph married Mary Catherine PRATT in 1863 in , , California. Mary Catherine PRATT was born on 17 Nov 1838 in , , Virginia. She died on 11 Aug 1903 in , , West Virginia. Mary married Joseph Hiram KUYKENDALL in 1863 in , , California. Benjamin KUYKENDALL was born about 1864. Isaac Edward KUYKENDALL was born in 1865 in , , West Virginia. He died on 16 Mar 1938 in , Hardy, West Virginia. George KUYKENDALL was born in 1866 in , , West Virginia. He died on 1 Sep 1940 in Mansfield, Platt, Illinois. Solomon Walton KUYKENDALL was born on 12 Aug 1867 in Moorefield, Hardy, West Virginia. He died on 11 Jun 1923 in Champaign, Champaign, Illinois. Jacob H. KUYKENDALL was born in 1869 in , , West Virginia. Walter Preston KUYKENDALL was born in Aug 1870 in , , West Virginia. He died on 1 Mar 1937. M viii John Van Meter KUYKENDALL was born on 3 Dec 1871. He died on 18 Nov 1961. F ix Felicia Jane KUYKENDALL was born on 7 Jan 1874. She died on 11 Oct 1962. Natalie Eventus KUYKENDALL was born on 13 Mar 1876 in Moorefield, Hardy, West Virginia. She died on 14 Sep 1958 in Loda, Iroquois, Illinois. F xi Annie Catherine KUYKENDALL was born on 4 Jan 1878. She died on 13 Dec 1920. Benjamin KUYKENDALL [Parents] was born in 1817 in Skaneateles, Orondaga, New York. Benjamin married Sarah BACON. Sarah BACON was born in 1812. Sarah married Benjamin KUYKENDALL. Charles Henry KUYKENDALL was born in 1832. Emma KUYKENDALL was born in 1834. Jacob Bailey "Jay" WHISENHUNT [Parents] was born on 27 Mar 1902 in Vineyard, Jack, Texas. He died on 23 Apr 1989 in Tecumseh, Pottawatomie, Oklahoma. Jacob married Mattie ROWELL on 17 Mar 1925 in , Pontotoc, Oklahoma. Mattie ROWELL was born on 26 Sep 1902 in Red Rock, Bexar, Texas. She died on 5 Nov 1994 in Odessa, Ector, Texas. Mattie married Jacob Bailey "Jay" WHISENHUNT on 17 Mar 1925 in , Pontotoc, Oklahoma. F i Mary Christine WHISENHUNT was born on 18 Jul 1926. She died on 18 Oct 2010.